Volunteers work to repair a section of fence at Nevada Beach on Saturday, Sept. 22. 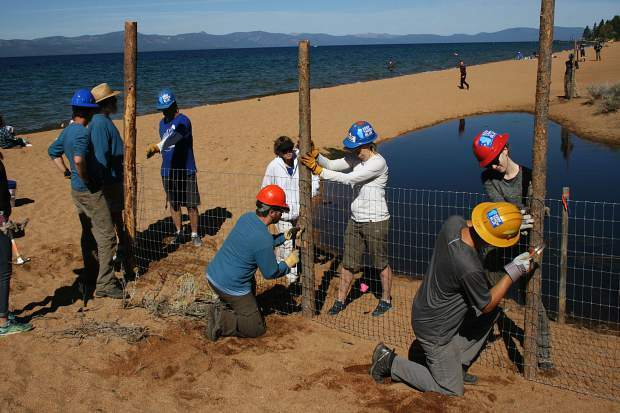 On the first day of fall, nearly 100 participants gathered to restore crumbling stream banks by planting 800 native willows, protect native species and remove litter from Nevada Beach at Lake Tahoe as part of the League to Save Lake Tahoe’s 21st Tahoe Forest Stewardship Days. The league partnered with the U.S. Forest Service for the third year in a row to address areas in need of attention on Sept. 22, particularly after the busy summer season. 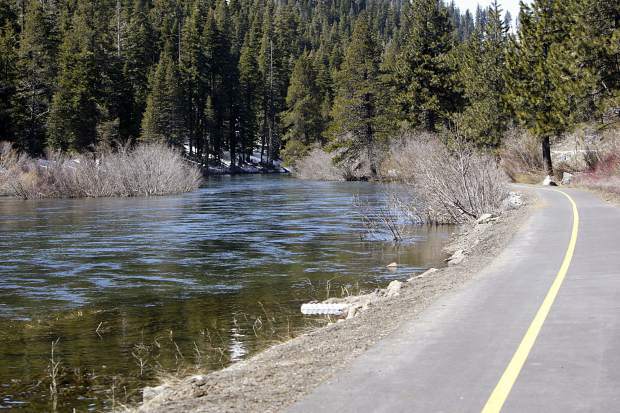 Nevada Beach is one of the most popular beaches at Lake Tahoe where many come to enjoy the lake and surrounding trails and campgrounds that intertwine with Burke Creek and Rabe Meadows. 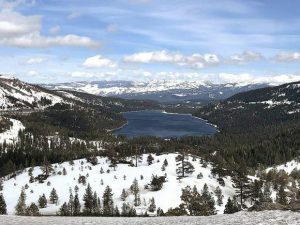 Teams of volunteers, led by league and forest service experts, and a crew from the California Conservation Corps worked on three projects throughout the morning and early afternoon. By day’s end, 800 native willow plants were installed along eroding stream banks on Burke Creek, and as the plants grow, their roots will help secure the dirt in place, preventing it from clouding the waters downstream. 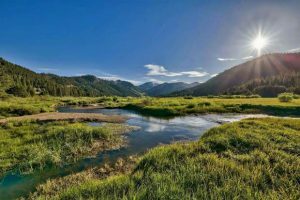 At the confluence of Burke Creek and Lake Tahoe another team repaired fencing that protects the native and threatened Tahoe Yellow Cress, a small plant that can only be found along Lake Tahoe’s pristine sandy beaches. A final crew scoured the beach for litter and aquatic invasive species that compete with natives and mar the scenic beauty of Tahoe’s shoreline.